Note: Threshold Mash-up training was invented right here at CrossFit Amundson – and it’s an amazing stimulus! Advanced Athletes can “scale up” to 50% threshold if they choose. 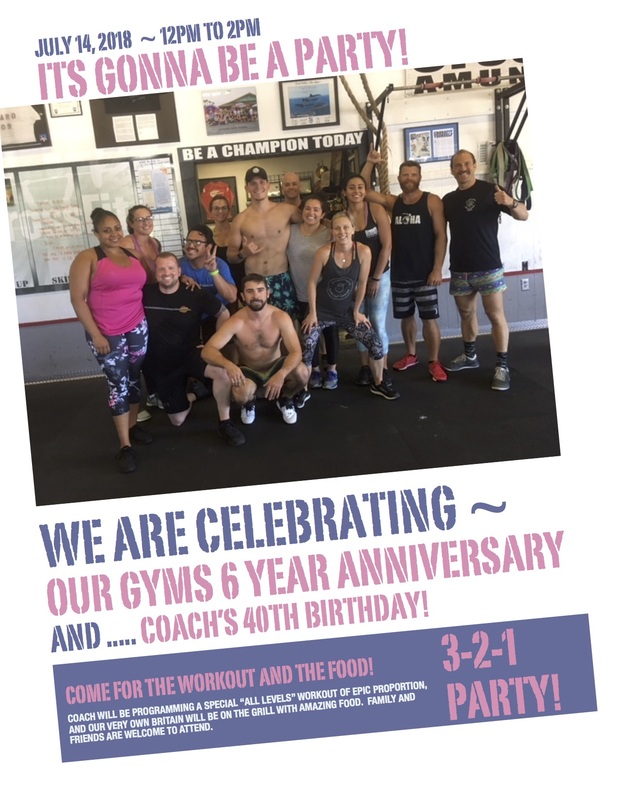 Join us on July 14, 2018, from 12PM to 2PM for the 6 year “birthday” of our gym, and Coach’s 40th birthday celebration! We will have Britain on the grill, music, and an epic workout. All levels welcome! Please note the 10AM workout will be cancelled to set up for the event.